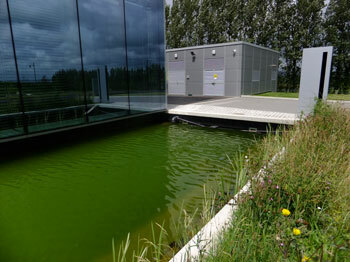 Most green algae species can be eliminated using ultrasound, however some species tend not to be affected and these include Euglena, Pediastrum and Scendesmus sp. 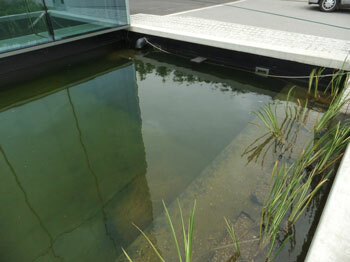 If a filtration system is in place, especially in garden fish ponds, then the process can be speeded up. 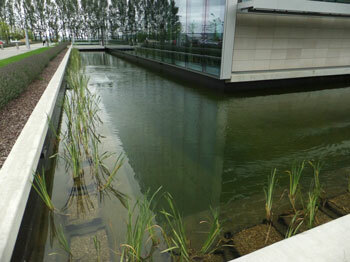 In 2011 we installed two PondTec units at the prestigious new offices of a globally famous company. 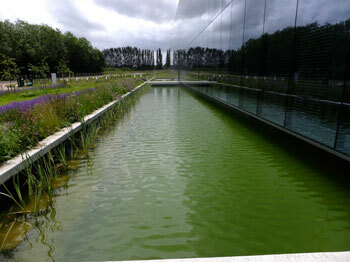 This large glass building was surrounded on three sides by a moat, the water in which was circulated through a filtration plant that comprised both sand and UV filtration. 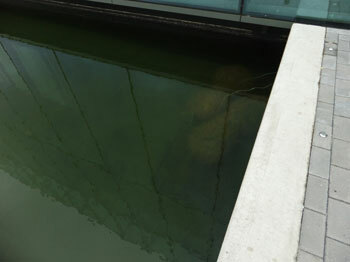 Regardless of the filtration system, the water remained green and was therefore a serious problem as it detracted the look of the building. Various other treatments were tried, including barley straw, none of which had any effect. 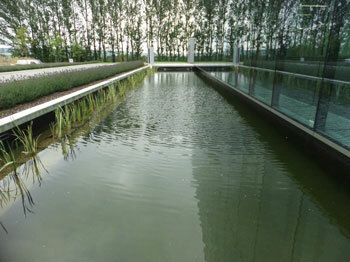 In late June, the PondTec units were installed and within a month, all the algae was gone and the water was crystal clear so that now one could even see the resident koi. 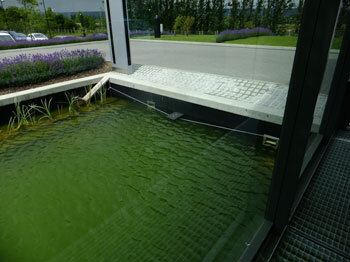 After 4 weeks of ultrasound treatment, no algae! 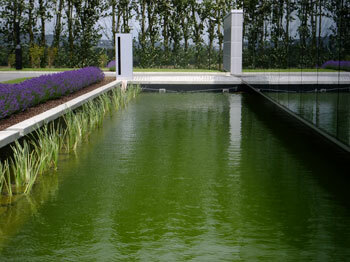 The moat now looks as was intended.